Canberra (Falun Dafa Association) – Falun Gong practitioners from around Australia will hold a rally and a press conference outside Parliament House in Canberra on August 30th, as Prime Minister Malcolm Turnbull prepares to go to China for the G20 Summit. The event will be joined by a team of Falun Gong practitioners who are travelling across the country on a 100-city car tour. The aim for the car tour is to raise awareness amongst Australians about the ongoing 17-year long persecution in China. In particular Falun Gong practitioners will draw attention to the recently confirmed allegations of forced organ harvesting in China. “We realise that most Australians know little about Falun Gong and the tragic situation in China. 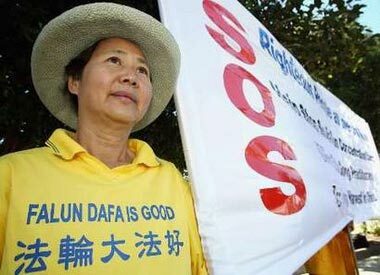 We hope that the car tour, which will drive through over 100 cities, will help fellow-Australians know more about what is going on in China today,” said Dr Lucy Zhao, President of the Falun Dafa Association. While the Prime Minister Hon. Malcolm Turnbull will attend the 11th G-20 Hangzhou Summit in China‎ during 4-5 September, Falun Dafa practitionerS across Australia will be holding a series of nation-wide media events asking the Prime Minister to call on the Chinese leader Xi Jinping to immediately stop the forced organ harvesting from prisoners of conscience and end the persecution of Falun Gong. Currently a postcard campaign across Australia is drawing attention of the Prime Minister Turnbull to the human rights abuses against the spiritual group. Over 20,000 postcards are expected to be delivered to the PM’s office in Canberra before the G20 Summit kicks off. Organ harvesting in China has rececived wide-spread media attention since the release of a new ground-breaking report by independent investigators. This is the first time a detailed analysis of over 700 hospitals in China was conducted. A team of independent international researchers examined transplantation volumes, bed utilisation, surgical rates, personnel and state funding. i) The transplantation volumes in China are far greater than reported by official numbers and stand in the hundreds of thousands. ii) Non-consenting prisoners of conscience remain to be the primary source of unethical organ procurement. The U.S. House of Representatives passed House Resolution 343 on 13 June, 2016, expressing concern regarding persistent and credible reports of systematic, state-sanctioned organ harvesting from non-consenting prisoners of conscience in the People’s Republic of China. Falun Gong, also known as Falun Dafa, is a respected creed here in Australia and around the world that practices meditation and exercises with teachings based on the universal principles of Truthfulness, Compassion, and Tolerance. In July 1999, fearing that Falun Gong’s widespread popularity was overshadowing his own legacy, the Chinese Communist leader Jiang Zemin ordered the eradication of the traditional Chinese practice. The arbitrary arrest, torture, killing, incarceration, brainwashing, organ harvesting and demonisation of Falun Gong continue to this day.